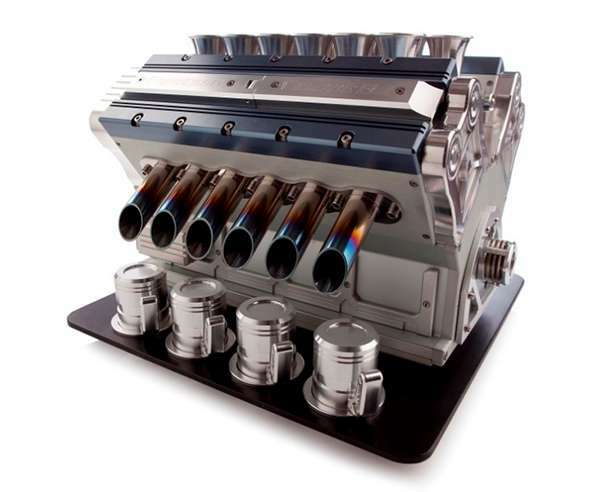 Espresso Veloce has crafted a series of espresso machines the resemble Grand Prix style motors. These functional pieces of automotive art are direct representations of Grand Prix engines of the 90’s. Machined with alloys of Magnesium, Titanium and Aluminum they are built at Half scale of the real thing. there is a limited run of 500 pieces for both the V10, and V12 varieties. These absolutely beautiful pieces of industrial design are hand assembled and look beyond perfect. 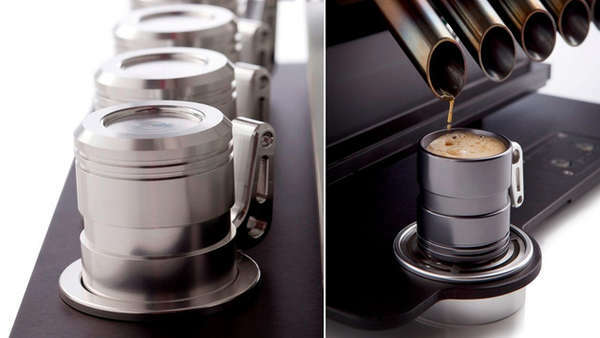 Everything from the top of the manifold down to the piston demitasse cups are exquisite. I even love the flame kissed exhaust pipes. 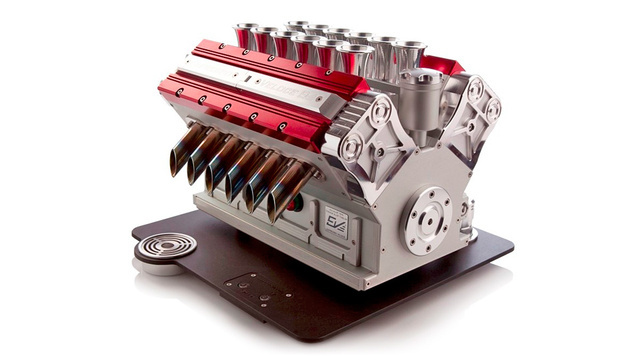 Go From Zero To Caffeinated In No Time With a V12 Espresso Machine.